Before starting chemical peels at the dermatologist I had tried several exfoliating home peels, but after a while my skin got so tired and irritated. I was looking for an alternative, without the use of harsh acid. 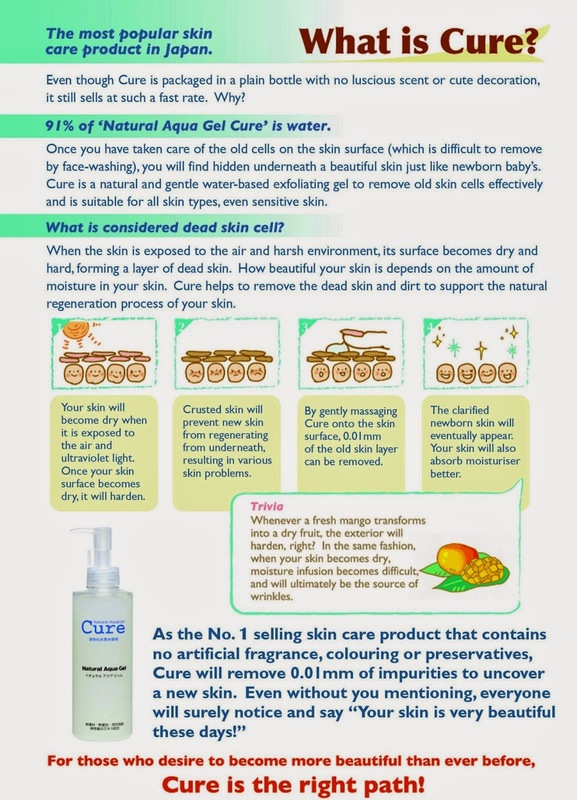 Cure Natural Aqua Gel is a Japanese creation that is a sensation in Japan and in other Asian countries. It's Japans bestselling exfoliator, every 12 seconds 1 bottle is sold ! It was first introduced in Japan in 2002 and since then it has won several awards and has been chosen as the best selling skincare product in the whole country. All this craziness, there must be something really special about this product, right? In contrast to traditional peels the product removes dead skin cells using a natural 'gel 'approach. Cure Natural Aqua Gel contains 91% of water and has no fragrance, color and preservatives. The gel does it's 'miracle' work by reacting with proteins (dead skin cells). If you have sensitive skin that's reacts badly to chemical peels or just want a break from peels and scrubs, this product may be the perfect alternative. Cure says; General chemical peeling use strong acids (approx. pH1.3) to dissolve protein. Cure, on the other hand, gently catches waste dead skin on surface of skin and remove it. It helps skin metabolism function better. Ingredients: Water (activated hydrogen water, non-acidic and purified), glycerin (a moisturizer), acrylates/C10-30, alkyl acrylate cross polymer (a thickener), dicocodimonium (a conditioner), chloride, steartrimonium bromide, aloe barbadensis leaf extract (moisturises, protects rough skin), gingko biloba extract (moisturises, prevents skin-mottling and freckles), rosmarinus officinalis/rosemary leaf extract (possesses anti-inflammatory and anti-bacterial properties), butylene glycol. Application: after washing dry pat area, apply the gel on the desired area (yes you can also use it on your body) and massage it gently in circular motion. Just after few second you will see dead skin cells residues. Wash of residue with water. You can use this product twice a week, or even more often if you want. Yes I'm doing chemicals peels now (mainly to get rid of PIH and scars) but I need this product for in between peels, as an 'abusive' free methods of exfoliation. 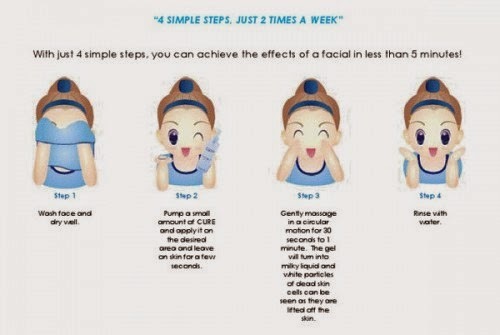 As you can see in the pictures Cure Natural Aqua Gel seems to be very effective at removing dead skin cells, and my face feels fresh and soft afterwards. I also love using this gel onto my elbows and heels, were my the skin tends to be dry. If you have doubts about the peeling effect of this product and think it must be silicon balls or something, I can assure you that the product only works when applied and massage onto skin. So in the absence of skin contact no residues will form. 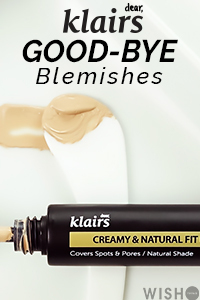 I would definitely repurchase it, it's gentle, effective, and non-irritating. The price depend on where you buy it. I got mine directly from Japan thought eBay for 26 euros for 250g. In short I love it and it's definitely worth the hype.